Prof. Anita Riecher-Rössler was selected as the winner of the “EPA Constance Pascal – Helen Boyle Prize of €10 000 for Outstanding Achievement by a Woman in Working to Improve Mental Health Care in Europe”. Prof. Anita Riecher-Rössler is Head of the Center for Gender Research and Early Detection at the Psychiatric University Clinics in Basel, Switzerland. She has specialised in psychiatry, psychotherapy, psychoanalysis, consultation & liaison psychiatry and gerontopsychiatry. 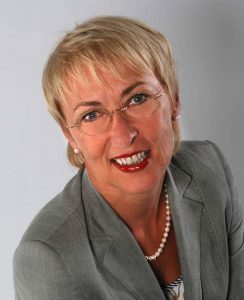 In 1998, she became the first woman to be appointed to a full chair for psychiatry in a German speaking country. Her research interests include schizophrenic psychoses, gender differences in mental disorders, and mental disorders in women. Further details on Prof. Riecher-Rössler’s professional background are available in her short biography. The EPA warmly congratulates Prof. Anita Riecher-Rössler on this well-deserved prize, which recognises her outstanding role in working towards better mental health care in Europe. The prize was awarded during the Opening Ceremony of the 26th European Congress of Psychiatry, on 3 March 2018 in Nice, France.